Prime rib is one of those dishes I’ve assigned to never ordering at restaurants and instead making at home. 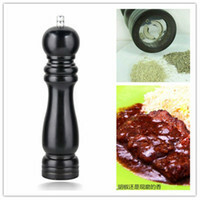 Aside from seasoning it properly and shoving it into an over for several agonizing hours, it seems like a no brainer food item. 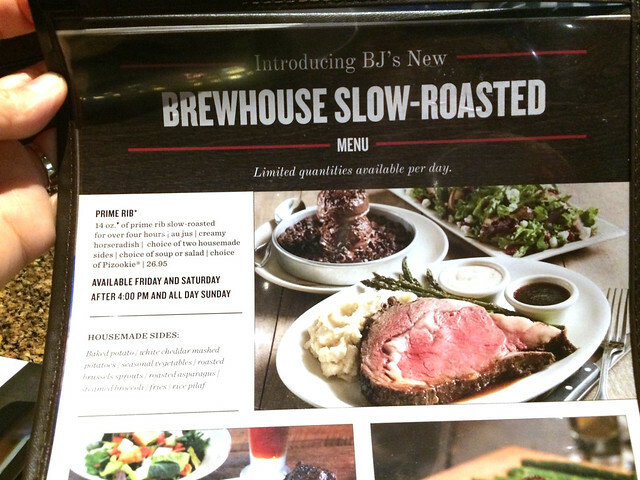 BJ’s Restaurants and Brewhouse is hoping to prove me wrong with their new selection of slow roasted meats. Honestly, I was skeptical. I’m never one to turn down a good hunk of meat when I encounter it as at buffet but it’s always left me less than impressed with it raw pink middle and under seasoned exterior. So when I got the chance to try it on National Prime Rib Day of all days, I was pretty close minded. BJ’s version still has a bright pink interior, this time I was met with a well-seasoned piece of meat. It comes served with a side of horse radish if you desire a bit of bite with your meat but otherwise was exceptional without the long wait time if you were to make it at home. The 14 oz. of meat comes with your choice of two sides (I ordered rice pilaf and broccoli), a soup or salad starter and BJ’s infamous regular-sized Pizookie of your choice. All in all, it’s a great deal for three course $26.95 and more than enough for one person to eat in one sitting. (I had plenty of leftovers.) 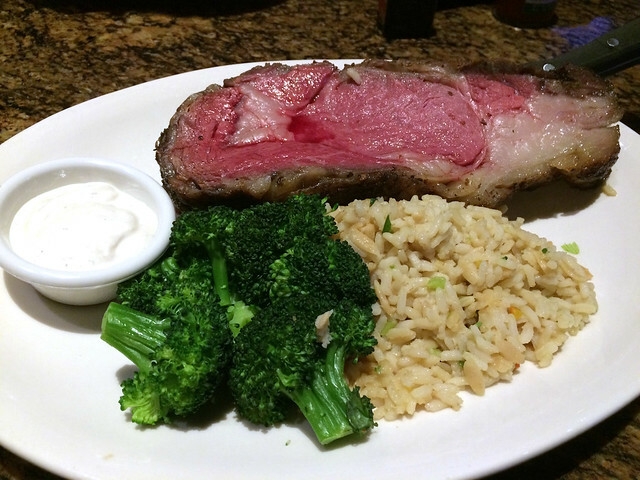 The prime rib meal is available all day Friday and Saturday or after 4 PM on Sunday. Prime rib is in limited quantities and serve it until they run out for the day. Feeling like a sandwich instead? 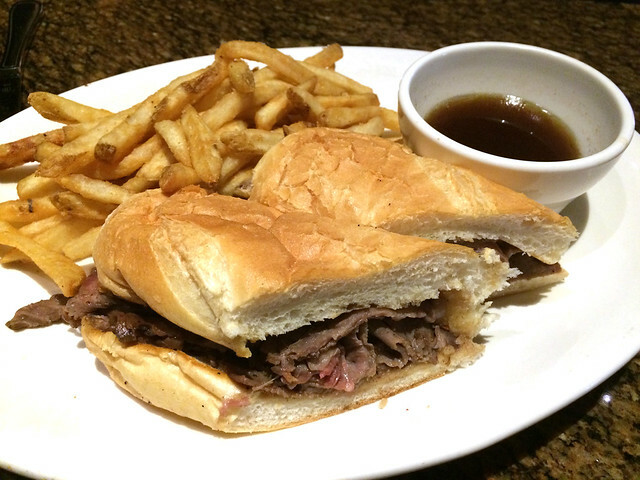 BJ’s also offers a prime rib dip served with an au jus dipping sauce and French fries. 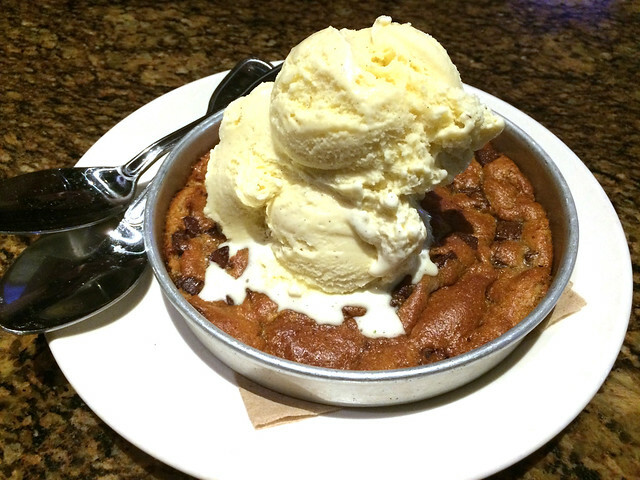 But you’ll have to order a Pizookie a la carte. Dessert only comes with the prime rib meal. Thank you for useful commentary and info. Will take my dad there for prime rib. Just one correction. Menu actually says “available after 4pm Friday/Sat and ALL day Sunday..